Today I am going to do an honest review of the “Fat Loss Forever” online workout program and diet. This Fat Loss Forever program was launched today with a special launch price, and because of all the hype around the program I thought I would purchase it and do a review of it. I probably won’t be using it myself (unless I want to change things up in the future), but I wanted to go over it all and review it for my blog readers. Because I purchased the program during the special launch phase I got a $50 off price, which was $47. This is a really fair price for any half-decent workout program and diet so I didn’t really think twice about paying this. What was included with the purchase? 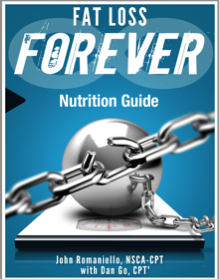 Fat Loss Forever Nutritional Manual (PDF) – The Fat Loss Forever program and diet is life changing program that will change the way you think about eating and ultimately how you eat. It involves different kinds of “intermittent fasting“, which is basically going a certain number of hours without eating. It sounds tough, but your body gets use to it and it will help lose a lot of weight. In this nutritional manual the two guys who run the program do a GREAT job explaining exactly why it works in easy terms for all of us to understand. They give you the information on how it will all work, a laid out weekly schedule, and then steps to take to make sure you can follow the plan. They also help you clear out your refrigerator from any unhealthy foods (that you might not know are unhealthy) and then tell you which foods to select. Everything in this Fat Loss Forever Nutrition manual is pretty step by step and easy to follow along, so it is great for beginner “dieters” all the way up to advanced “dieters”. A+ here. Fat Loss Forever Training Manual (PDF) – In this guide Roman goes over the basics to training with a nice introduction. He then gets right into the different types of training that you will be going through when participating in the Fat Loss Forever program. 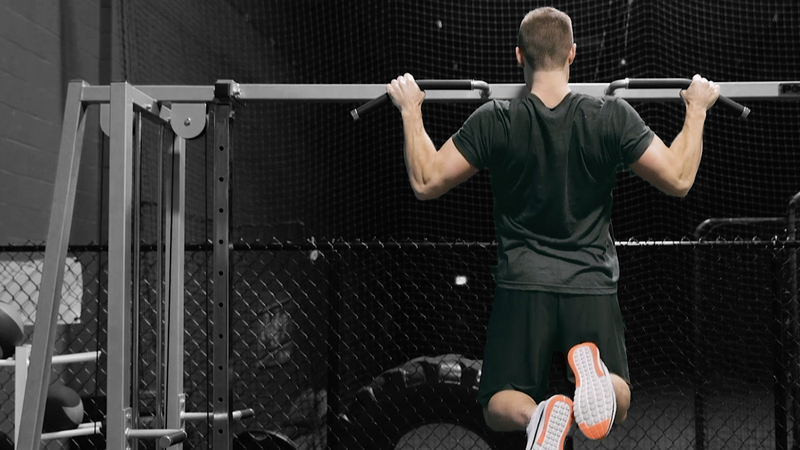 This includes 5-4-3 Dynamic, Growth Hormone Surge, Density Based Training, and Complexes. They explain why each type of workout is good for fat loss, and then explain exactly what it consists of and how to do it. Don’t worry you will have exercise videos for all Fat Loss Forever workouts too! Fat Loss Forever Supplement Guide (PDF) – This guide goes over the basics and more advanced questions about supplementation for fat loss. They recommend only the “no bull” supplements that will get you results. Food Guide and Grocery List (PDF) – You will love this. They list exactly what to get and what not to get when you are grocery shopping. You can easily print this out and bring it with you to the grocery store. Quick Start Checklist (PDF) – I recommend going through this after taking a look at everything else. Get yourself familiar with how the Fat Loss Forever program works, and then when you are ready start you can review this checklist and make sure you’ve done everything to get ready for Day 1. Diet Calendar (PDF) – Exactly what the title says – this calendar lays out what type of eating you will be doing each day and what type of exercising is necessary for your fat loss journey. Handy to have to keep you on track. 4 Workout PDF Files – Like I mentioned in the Fat Loss Forever Training manual description, the Fat Loss Forever diet and workout program has 4 different types of training days. They will tell you what type of training you are doing on specific days and then you can go into these workout files and learn more about the exact workouts. In this review I am going to give these workout files an A+ as they are really straight forward and look very nice. I would feel good printing these out and bringing them to the gym with me. From what you get for the $47 I would say that this product is 100% worth the price. This is perfect for anyone from beginner to advanced, and if followed 100% you are definitely going to lose A LOT of that unwanted fat. If the price goes all the way up to $97 after the launch special I would still recommend Fat Loss Forever to anyone seriously looking to lose weight without paying the full price of a trainer. Fat Loss Forever Rating = 9/10 – Good work guys!! After you purchase the program you are instantly taken to a page that lets you upgrade for another $29.95. This is the more advanced stuff that includes special hyperdrive workouts, a consultation with Roman, meal plans, and a diet generator. This stuff is definitely worth upgrading to if you have the money and want to go an extra step further to ensuring your journey to fat loss is a successful one. With that said, it isn’t necessary as the program itself is great without the added bonuses. You can literally get started within 2 minutes of purchasing the program. After you enter your credit card info (or Paypal) you will be taken to a page where you click “complete your order”. Then you will land on a page that asks for your email so you can get the updates to Fat Loss Forever in the future. Once you enter that, bam, you have the program link right infront of you. Click download and open up the Fat Loss Forever folder and start digging through the goodies. It will take you maybe an hour to go through everything, so set aside a time when you can look at everything and even takes notes with a pen and paper if you want to. Once you get started reading the program manuals you probably aren’t going to want to stop – so set some time aside! If you do decide to purchase Fat Loss Forever I’d love if you came back and gave me your own review of how the program and diet went for you. Just post your results or story in the comments below – I’d really appreciate that! I hope you found this review helpful. Good luck with your fat loss adventures if you decide to purchase the program! !